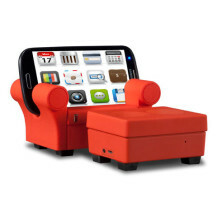 Because Your Phone Works Way Too Hard, You Should Let It Rest In This Ridiculous $99 Sofa And Ottoman Called, Ehm, "Phoniture"
There comes a point in any phone's life when it just wants to put its futon a couch and rest for the night. It has worked an entire day and it deserves to be a lazy boy after all those tweets, messages, photos, calls, and the millions of other things you made it do. 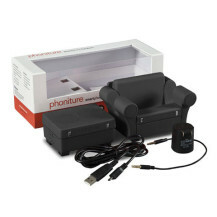 If you have no Ikea what I'm talking about, you should go check out Phoniture, seriously, you otto-man. 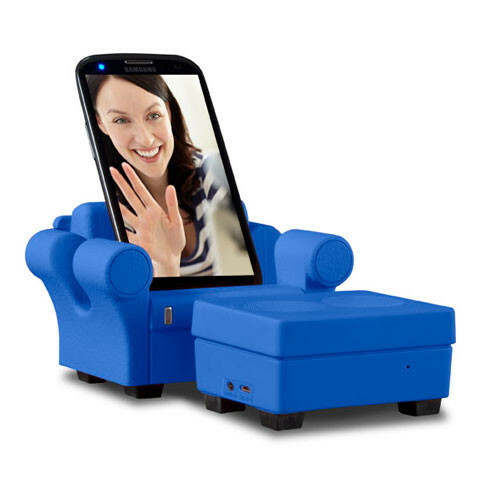 It may look like a regular couch stand for your phone, but trust me, it gets way bedder. 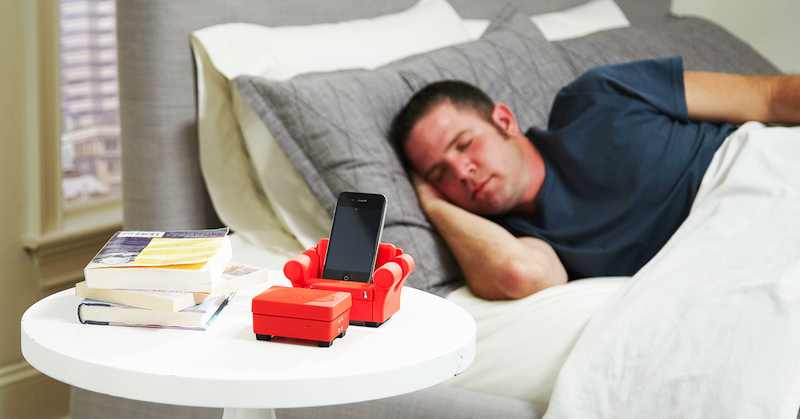 It's a wireless Bluetooth speaker, a microphone, and a cradle. There are a bunch of cables involved and the detachable ottoman's battery life only lasts 3.5 hours for Bluetooth music playback — you can't escape these two deap-seated problems. Sofa, things sound borderline acceptable, except the Phoniture bundle costs $99. Because when it comes to your phone's well-being, price doesn't really mattress, does it? What the dock were the product managers thinking, I don't know. Maybe we should chaise them away and put them under armrest for coming up with such a silly accessory at such a silly price. Worst case scenario: they may need a life couch to suggest a career change. If you still chair to know all about Phoniture, you can check all of its details, specs, and how it works at the source link below. I'll understand if you throw cushion to the wind and grab one, but if you wisely decide to sit this one out, you'll miss out on a lot of fun...iture.